A recent study of 33,000 employees by VitalityHealth, Mercer, the University of Cambridge and RAND Europe revealed that workers in the financial sector lost an average of 25 days per year to stress. This was second only to those in healthcare, who lose an average of 27 days – a loss in productivity that is estimated to cost the UK around £57bn a year. The study also revealed that individuals in these sectors commonly experience poor diet, sleep deprivation and lack of exercise, especially when stress levels escalate. There are a number of traditional approaches and well being programmes aimed at sleep patterns and diet in order to counter stress levels, but what these initiatives fail to tackle is the thinking that has lead us into the feeling of stress in the first place. So what if we could look at this problem in another way? What if we accept that stress is an inevitable part of the ever-changing demands of the modern workplace, but we look at ways to fundamentally change our relationship with it? Forward-thinking leaders are now investing in the minds of their staff. More and more employers are now providing positive stress mindset interventions which enable staff feel more in control, empowered, focused and engaged in times of pressure. This new mindset approach is long-lasting, reducing anxiety, lessening fatigue and has been proven to improve performance. Research from the University of Wisconsin demonstrated how a more positive mindset approach to stress, rather than traditional ‘stress management’ or well being tools, can improve resilience and personal effectiveness. In a study involving 30,000 adults, people with high stress levels who believed that stress was harmful were 43% more likely to have died in an 8 year period.In contrast, those with high stress levels but didn’t believe it was bad for their health had the lowest risk of death, even less than those reporting low stress levels. The research clearly demonstrates how our beliefs and mindset shape our response to a situation. Therefore, if we can help employees to change their response to situations, they can feel more in control, perform better and be happier. In order to create this more resilient mindset, there are three belief shifts about stress individuals need: Notice; Accept; Choose.This psychotherapeutic process allows groups of staff to recognise stress, notice its impact, accept its presence and connect with its motivation, and then begin their positive response to it. Crucially, this mindset intervention does not reduce the stress. It works by transforming how people think about and experience stress. Following the work, 96% of participants report improvement in their understanding of issues at work, whilst 100% said they found benefits in managing their stress levels. This mindset intervention is grounded in research, including a study of how a Fortune 500 organisation invited people to take a more positive view of stress. Within the company 229 middle-aged employees signed up to ‘stress management training,’covering the harm and benefits of stress, howto choose a positive mindset to stress by reflecting on times when stress had been helpful.Three weeks after the session, 100% of participants reported benefits including less anxiety, greater self-awareness and a more positive mindset. In addition they felt an increased ability to deal with stress, and a greater inclination to see positive aspects of stress, having previously seen it only as negative. At work they reported improvements in focus, creativity and performance, benefits that were maintained 6 weeks after the intervention. What is interesting is that none of these benefits could be explained by a reduction in the amount of stress the employees experienced. This was directly as a result of the mindset intervention and how it transformed their response to stress, rather than reducing it. Statistics suggest that professionals in the healthcare sector are even more stressed than those in the finance sector. Clinicians and nursing staff in A&E often experience life and death situations, and cannot simply close the door if they’re having a bit of an off-day. They are also time-poor and periods away from the workplace place a strain on services, so they clearly have a need for support, but must deliver it effectively to a large number of people in a short period of time. This is where mindset interventions come into their own – mindset work is effective in large groups as it is self-reflective, and it is also safe as people are happy to attend a ‘Resilience’ programme as they want to be strong, effective, and perform well. As a result, sign-up is high compared to stress management programmes, where people can be reluctant to ‘out’ themselves as stressed to their colleagues and employers. The mindset intervention also deals with work and home issues in one, allowing employers to support and tackle all issues affecting performance at work, without direct intervention. Once the mindset intervention has been undertaken, individuals’ thinking is ‘rewired,’ allowing new thinking patterns to be created and emerge which are both immediate and long-lasting in terms of impact. These sessions have been attended by over 500 healthcare professionals to date and feedback has shown that 98% had better understanding of work and team relationships and 96% had increased their mental resilience. Research clearly shows the similarities in the high levels of stress and pressure finance and healthcare professionals. Both sectors face similar high levels of absence due to stress and pressure, and this has an obvious effect on performance and productivity. The resilience mindset intervention sessions that have benefited healthcare professionals could create a similar impact to groups of workers in the finance sector, offering the potential to dramatically improve the performance and profitability of its teams and organisations. 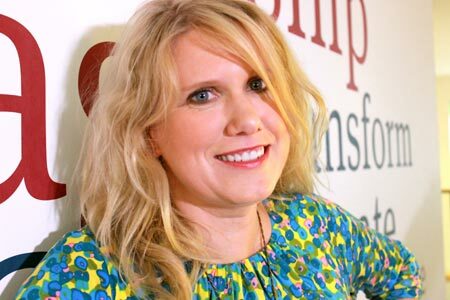 Rebecca Howard is a Neuro Linguistic Psychotherapist and CEO of ShinyMind, working with organisations and companies to deliver resilience mindset solutions to improve performance.